Below is a letter by Ron Rodarte to activists trying to keep San Onofre shut down permanently, about what the group's "core message" should be for the February 12, 2013 Nuclear Regulatory Commission meeting at the church of the God-loving beach people (holds 1,100+). I hear the meeting will be packed once again with employees of the plant bussed in by Southern California Edison. (They'll spare no expense: They've got our money to burn.) Once again there will be a constant stream of busses for the employees, so they can leave early after making their show of strength and unity. Why not have round trip busses from EVERY community (paid for by the utility, of course) so ALL the citizens that wish to attend can do so? To get to the meeting, the average round trip from within the acknowledged danger zone of San Onofre is well over 100 miles. The NRC hasn't held a meeting -- let alone a "hearing" -- in San Diego in decades. How about running some busses from Oceanside, Vista, Encinitas, Carlsbad (my home sweet home), Escondido, and not to mention further away places like Poway, Ramona, El Cajon, Temecula and Idyllwild? If the SCE employees show up, they'll all have egg on their faces. It wasn't all management that screwed up their reactors. It was the 1-G acceleration that registered on all three accelerometers during shipping of one of the steam generators, but wasn't revealed to the public until the NRC's Augmented Inspection Team published their report last summer. It was the fire watch rounds that were imposed but not carried out by the employees (but which were recorded in the log books anyway). Fire rounds which were the result of years of litigation after the nearly-catastrophic Brown's Ferry reactor fire in Alabama in 1975. It was the whole team of engineers, who supposedly checked and rechecked a billion-dollar faulty steam generator design. It was the management intimidation to not report safety violations that has been a hallmark of the plant for years -- and the pressure to attend meetings like this to show employee support. It was the fire back in 2001, where the plant's own fire department actually argued for 15 minutes with the San Clemente fire department about how to put out the fire in a control box for the lubrication system for the turbine for one of the units. Finally they accepted SCFD's suggestions and doused the flames. But the damage had already been done: Because the lubrication system had failed because of the fire in its control box, the turbine screeched to a halt and was bent in the process, resulting in a five-month outage. The same spokesperson who said nothing about the crane drop while decrying that the activists don't understand the laws of physics for years dismissed the problem of long-term storage of radioactive waste with two words: "Yucca Mountain." Yucca Mountain has been effectively cancelled after nearly 30 years of study. It was a technological failure as well as a political catastrophe. The same spokesperson also said, "I honestly think they'll find a cure for cancer soon." I honestly think they find a cure for his dementia soon. Not. Add to all these internal problems, lax regulation by a lap-dog agency and the question becomes: What problem DOESN'T the plant have? Is the real reason San Onofre employees want to keep their jobs and are afraid to find other work that they are afraid their reputations for having worked at San Onofre will follow them as a black spot all their lives, the laughing-stock of even the nuclear industry? If so, it is a rational fear. I recommend they all get training to work in other fields, the nuclear industry might not want them. They should consider it a good fortune, however. Tepco's employees' reputations are even worse. At any rate, all this is mere introduction to Ron Rodarte's beautiful letter. I believe his letter is our "core message" today. Let the sunshine in! (2) From Donna Gilmore: News item about "the MHI document"
This is no longer a choice by the NRC to allow a re-start of SONGS at 70%. It is now the fate of the NRC that hangs in the balance with their next choice to either release the full content of the Mitsubishi Letter, or in redacting and restricting the content and be dragged into the contamination by defending the acts of SCE. Mockery and ridicule have served the conservative corporatists well in this era of denigration of dissent designed to misinform, misdirect and reap ill-gained profit. It is known that mockery is the weapon of choice of the idiot, but it is also the theatric tool of a master playwright, as in Shakespeare's ingenious use of the character. The wind is with us and it blows in all directions; emanating from SCE's lies and foul reproach of whistleblowers in the containment domes at SONGS. Edison has contaminated their corporatism-at-any-cost model of profit. And, it has doomed any body or group assembly that stands up to defend the lies in a public forum with the knowledge of criminal endangerment of 8 million residents, billions of dollars of USA assets, and the entire World Economy that has also been put at risk. The content of the MHI letter identified by Barbara Boxer and Rep. Markey is the key to the success of this movement. We must act to force the hand of the NRC to release the letter contents in full. 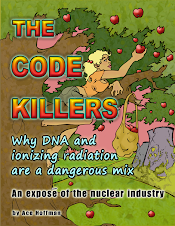 The next decision of the Nuclear Regulatory Commission will either place the Nuclear Regulatory Commission and their mission into the "radioactive pile" of Southern California Edison's despicable acts, while quite possibly making the SONGS catastrophe a reality by choosing that road, or they will release the non-redacted letter in full to the public for a cleansing by sunshine. Again, this most important step in this movement is the release of the non-redacted letter that must be in the purview of the public. If this letter is relegated to the dark rooms of corporatists and government profiteers this movement will have lost this battle. The proof of a Global Nuclear Village and criminality lie within the letter. Once the keystone is pulled, the entire structure falls. That letter is the keystone to ending a global corporate-criminal Nuclear Village that is profiting along with global-corporate unaccountability, a patina of irreproachability that can be checked deftly by using this letter as the example of a true business-as-usual hubristic policy directed at all humanity, life in general and the future of our planet. We need the full content of that letter. Please make that our prime objective at the February 12 meeting with the NRC. The NRC has been put into the corner and it has little room to maneuver. The choice of the NRC is no longer whether to grant permission to re-start at 70%. The wind has shifted. The NRC either goes down with the mission in their choice to defend the criminal, or it recognizes the public mandate and releases the full content of the Mitsubishi letter. Demand full documentation of the contents of the letter, non-redacted and in the full public purview. At least two years before a leak inside a generator shuttered the San Onofre Nuclear Generating Station in California, the owner of the plant acknowledged that the equipment could vibrate, threatening tubes that carry radioactive fluid, a document given to regulators shows. Southern California Edison (SCE) initially addressed the concern, forming the "Anti-Vibration Bar Design Team," said a person familiar with that document. The group included individuals from both SCE and generator maker Mitsubishi Heavy Industries. After "numerous technical and design review meetings," the document said, the team "concluded that the steam generator tube design could lead to the tubes vibrating and subsequent wear damage caused by higher amounts of steam," said Rep. Ed Markey (D-Mass. ), ranking member of the House Natural Resources Committee. The companies then made a risky decision, Markey said. "The team then 'considered making changes to the design' to mitigate the problems, but decided not to implement any of them," Markey said, quoting the document from Mitsubishi Heavy Industries. "The only specific reason cited in this document for the decision not to implement the potential design modifications was the desire to avoid a more lengthy license amendment process at the [Nuclear Regulatory Commission]," he said yesterday via email. The revelation came as criticism mounted of SCE and moves it made before installing generators at the San Onofre plant in San Diego County. Markey and Sen. Barbara Boxer (D-Calif.), the Senate Environment and Public Works Committee's chairwoman, sent a letter earlier this week to Nuclear Regulatory Commission Chairwoman Allison Macfarlane, urging NRC to launch an investigation based on the document from Mitsubishi Heavy Industries (MHI) (E&E Daily, Feb. 7). That paperwork was given to NRC last year but was not released because parts are proprietary. A copy was leaked to Markey. Markey yesterday admonished Mitsubishi and Southern California Edison "to release this and all other documents associated with the safety and regulatory failures associated with the San Onofre nuclear reactors, so that members of the public can evaluate the issue for themselves." The Massachusetts congressman is a longtime critic of nuclear power. NRC said that it would respond to the lawmakers "in the normal course of business." The utility said yesterday that Markey and others were taking "selective comments from an MHI report, which is not a SCE document. SCE will continue to stay within the Nuclear Regulatory Commission process, which considers documents in their entirety." The company Wednesday denied that it knew the generators were flawed, saying that "SCE would never, and did not, install steam generators that it believed would not perform safely" (Greenwire, Feb. 7). It was not immediately clear when SCE and Mitsubishi first knew about the design flaw with the generators, said the person familiar with the Mitsubishi document. The contract between the two companies for purchase of the equipment was signed in 2004. The Anti-Vibration Bar Design Team was formed "early in the project," the document said. Markey said that the engineering team was brought together "specifically for the purpose of minimizing the sort of vibration that [later] caused the recent reactor shutdowns." San Onofre has been closed for a year, following a January 2012 radiation leak inside the Unit 3 steam generator. An NRC investigation last year found that Mitsubishi had used a faulty computer model to gauge steam and water flow. That triggered vibrations that caused extensive wear on the tubes. Knocking caused extensive wear to Unit 3 and also damage to Unit 2. Environmental groups that have reviewed information on the damage say it is record-breaking. An analysis by Fairewinds Associates, conducted for Friends of the Earth, said SCE has taken more tubes out of service at San Onofre than the total for all other nuclear plants in the country combined. The generators were installed in 2010 and 2011 as replacements. Friends of the Earth and other environmental groups have charged that SCE should have gone through a license amendment before installing the new generators because there were extensive changes from the earlier generator model. That process is lengthy and includes court-like hearings. SCE instead went through a process known as "replacement steam generator." Friends of the Earth yesterday sent Macfarlane a letter demanding that NRC release the document "that apparently reveals that Southern California Edison had foreknowledge of potential design flaws with steam generators it installed at the San Onofre nuclear reactors in Southern California." Friends of the Earth also demanded that NRC "explain why this and related documents have been withheld from the two proceedings in which Friends of the Earth is involved at the NRC ... both of which contend that operation of the defective equipment should trigger rigorous, public licensing amendment processes." "At stake is not only the NRC's own credibility as the nation's nuclear regulator, but also the right of the millions of Southern Californians who live near these crippled reactors to know the truth about what Edison knew about this dangerously defective equipment," Friends of the Earth President Erich Pica said in a statement. "It is not acceptable for the NRC to suppress these documents pleading that they might contain proprietary information -- when millions of families are at risk it is the right of the public, not the profits of the company, that is most important." About 8.7 million people live within 50 miles of the San Onofre plant. That is the distance NRC typically recommends for evacuation in the case of a dangerous nuclear event. SCE has asked NRC for approval to restart Unit 2 and run it at 70 percent capacity for five months. It then would be shut down and inspected. An NRC decision on that could come as early as March (Greenwire, Dec. 19, 2012). Washington, D.C. - Senator Barbara Boxer (D-CA), Chairman of the Senate Environment and Public Works Committee (EPW), and Rep. Ed Markey (D-MA), Ranking Member of the House Natural Resources Committee, issued the statement below on the Nuclear Regulatory Commission's (NRC) response to the letter that they sent requesting that safety concerns at the San Onofre nuclear power plant be fully evaluated. Senator Boxer said: "Today, the NRC confirmed that an expansive investigation is underway into the completeness and accuracy of information that Southern California Edison provided to the NRC related to the replacement of the steam generators. The NRC has also confirmed that it is reviewing the Mitsubishi Heavy Industries' Report to determine whether Southern California Edison fully complied with its legal obligations. This investigation is a critical factor in determining whether it is safe to restart the San Onofre reactor's Units 2 and 3." Rep. Markey said: "The Nuclear Regulatory Commission today confirmed that it is investigating the issues raised by our letter. Our nuclear safety officials should now postpone any decision on the re-start of the reactors until this critical investigation is complete."